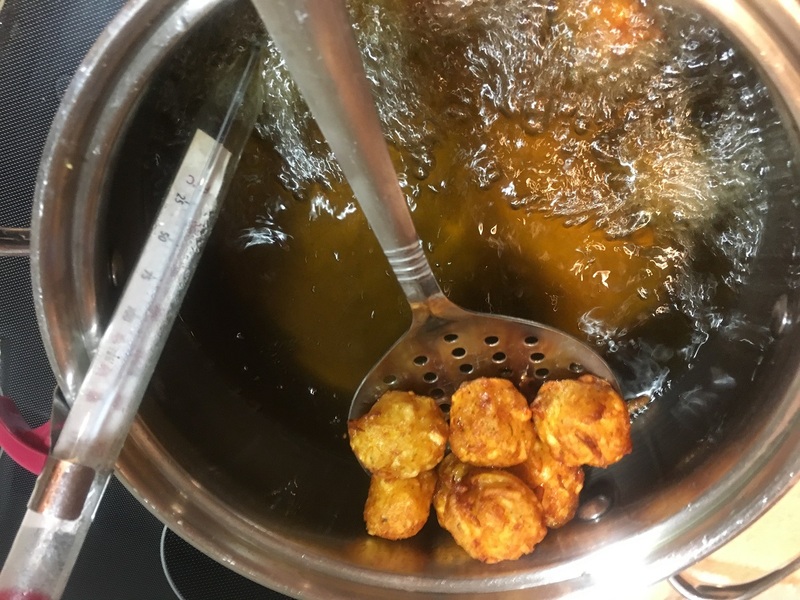 Today I am going to share a recipe with you so you can make your own homemade organic tater tots! But first I owe you an apology. I’m so sorry you haven’t heard from me in a while. I’ve been so busy with Christmas and everything (as well as my editor – Lala – seeming to go on strike or something… 😉 In our family, we like to make homemade gifts for each person in our family. I love this tradition, but it can be very time consuming, especially when you have such a large family. I thought I had plenty of time to make all my gifts, but then my kids started asking for help making their gifts. It was soon obvious I forgot I was going to have to help each of my kids make their 14+ homemade gifts. Needless to say, I had a lot less time, and was much busier than I thought I’d be. 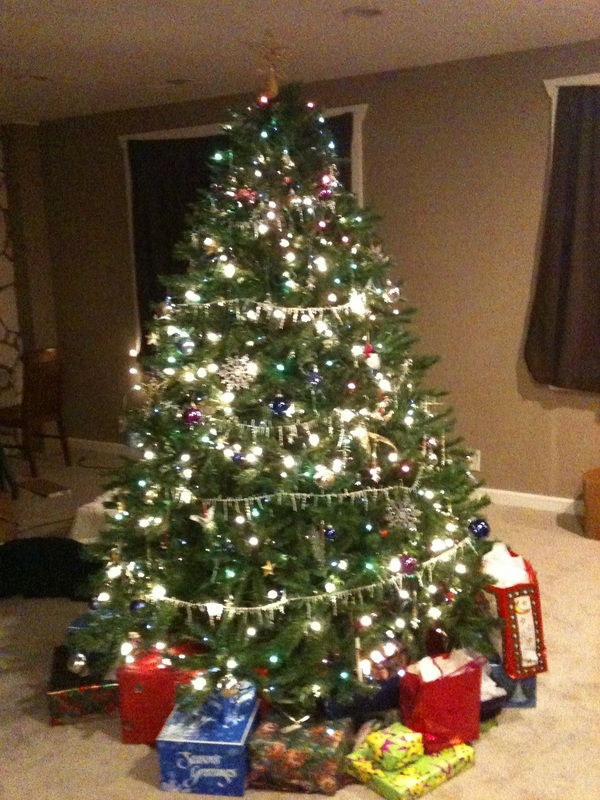 But, we all got our gifts done in time for Christmas!! Yay! Now back to the blogged recipe for some organic tater tots. I love tater tots! They have so many uses. You can make them as a side dish, or they can be used in breakfast and dinner casseroles. One of our favorites is Tater Tot Casserole. This is actually one of the most requested dinners I make – by adults and children both! But, I haven’t been able to find any organic tater tots, so I wasn’t able to make this for my family since we’ve gone organic. My husband and kids kept requesting it though, so I decided it was finally time to try to make my own organic tater tots. And I am glad I did, because they turned out amazing!!! They took a little bit of work and were a bit time consuming, but totally worth it! 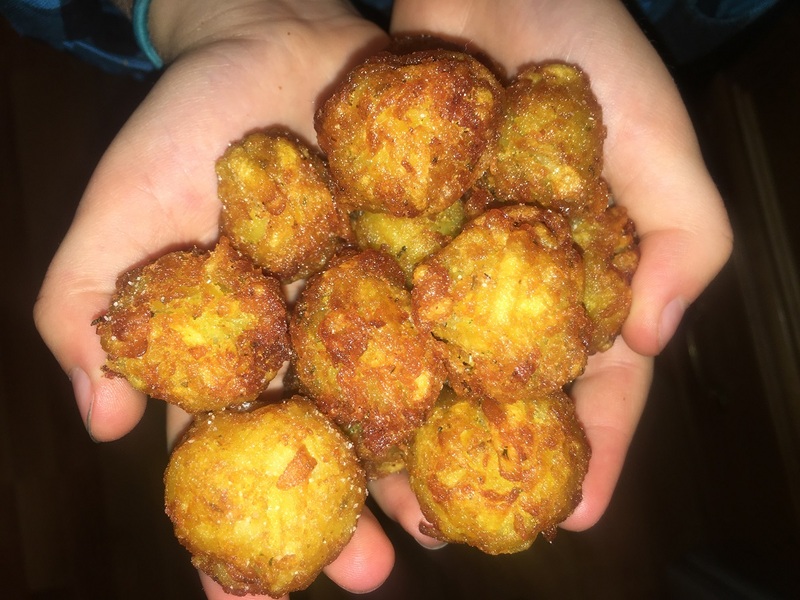 This tater tot recipe I found turned out amazing! I loved how crispy they are. And, to top it off, they tasted perfect in my tater tot casserole! I will definitely be making these again. The only changes I made to the recipe were reducing the herbs and spices, as well as, ensuring all the ingredients are organic! I felt the recipe ingredients were a little heavy in the seasoning arena. So, if you are like me, and you don’t like a lot of seasoning, I would suggest adding a little less than the recipe calls for. Place potatoes in a large saucepan and cover with cold water by 1 inch. Bring to a boil and cook until parboiled, about 6-7 minutes; drain well and let cool. Using a box grater, finely shred potatoes. Using a clean dish towel or cheese cloth, drain potatoes completely, removing as much water as possible. Transfer potatoes to a large bowl. Stir in flour, garlic powder, onion powder, oregano and dill; season with salt and pepper, to taste. The mixture should be workable but dry. Heat vegetable oil in a large stockpot or Dutch oven over medium heat. Add tots to the skillet, 5 or 6 at a time, and cook until evenly golden and crispy, about 3-4 minutes. Transfer to a paper towel-lined plate. *TO FREEZE: Transfer cooled tater tots to an airtight container. Freeze up to 1 month. To bake, preheat oven to 400 degrees F and bake until heated through, about 15-17 minutes.